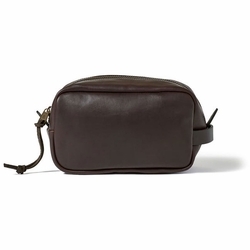 Filson Weatherproof Leather Travel Case. Carry it for a lifetime - Filson's Weatherproof Travel Case will only get better with age. Made with a proprietary U.S. leather and lined with cotton.